Written by SoundFX.studio on November 13, 2018 . 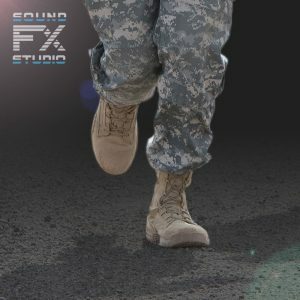 The Concrete Footsteps sounds from the Footsteps SFX sound library. Sound effects of a person walking on concrete. Prepared for games, divided into separate files. Play it randomly with random pitch and gain to get a realistic sound. It can also be used to sound a running person. Just raise the pitch and gain. The Footsteps SFX library includes 30 audio files of footsteps on different surfaces.